Around 1,600 children (aged 0-14 years) are diagnosed with cancer every year in the UK. Despite medical advances, 20 to 25% of these children still die from their disease. Furthermore, childhood cancer survivors (of whom there are some 26,000 in the UK) are at risk from long-term side-effects from both cancer treatment and the follow-up investigations required. The follow-up investigations include multiple CT scans to assess treatment response and detect recurrence. The radiation exposures associated with the use of intensive scanning can put children at risk of developing a second cancer. In previous work, Professor Coleman has shown how germ cell tumours (tumours of the egg- and sperm- producing cells) contain high levels of certain short pieces of genetic code, called microRNAs. The tumours shed these microRNAs into the bloodstream where they remain stable. 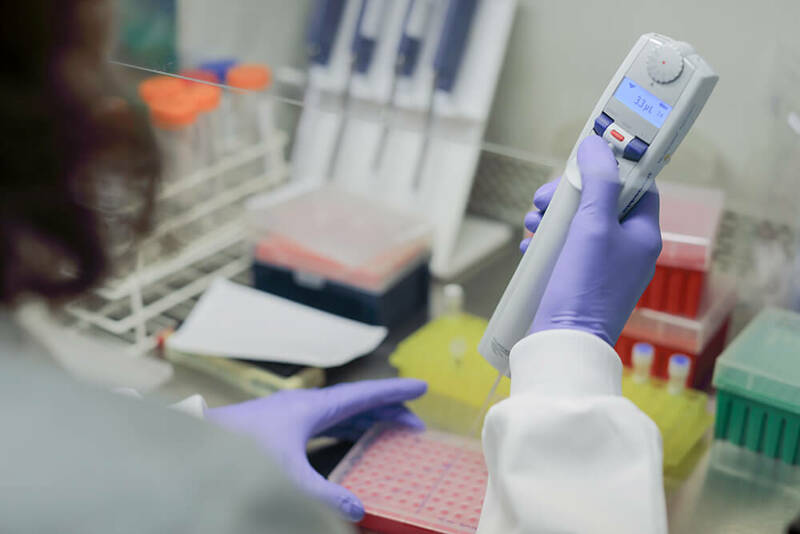 The team has shown that specific microRNAs that are at high levels in the tumours are also at high levels in the bloodstream at diagnosis and that levels fall with treatment. This offers the possibility of using simple blood tests, which measure microRNA levels, to monitor treatment response and detect disease recurrence. This may replace the need for microscopic examination of tumour samples obtained by surgery, and the need for repeated scans after treatment. In this project, the team is extending their research on germ cell tumours to four other common childhood cancers: neuroblastoma, Wilms’ tumour, lymphoma and rhabdomyosarcoma. They are testing whether blood samples can be used for accurate measurement of response to treatment in children with these cancers. They will analyse serial blood samples from children with these cancers, taken at different points during treatment and follow-up. They will profile the microRNA signatures in each blood sample to identify which specific microRNAs most significantly correlate with response to treatment in the different tumour types. This will allow them to determine whether detection of microRNAs in blood will allow accurate monitoring of common childhood cancers during and following treatment. 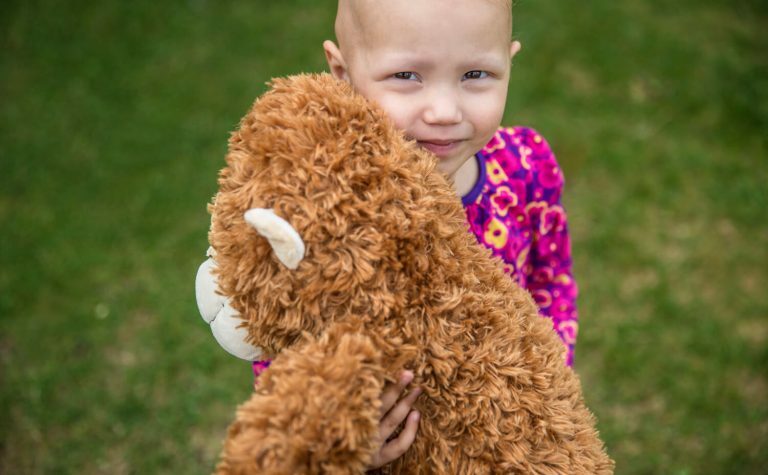 The hope is that these patterns will offer enough accuracy to avoid unnecessary surgery and radiation from repeated scans in children for both treatment-response and early detection of cancer recurrence. ‘This is a truly outstanding research team with a long record of significant accomplishment in tumour biology and genomic profiling in general, and recent excellent work in microRNA profiling specifically.’ Independent reviewer. By developing a simple blood test to monitor treatment-response, this research could reduce the need for repeated scans during treatment and follow-up. This would limit the radiation dose to which the child is exposed, reducing subsequent risk of a second cancer. Should the pilot study prove successful, the team will aim to transfer the technology for widespread clinical use by incorporating the method into national and international clinical trials. Professor Nicholas Coleman and Dr Matthew Murray, University of Cambridge; Dr James Nicholson, Addenbrooke’s Hospital; Dr Harpreet Saini, EMBL European Bioinformatics Institute.